100% USA Sourced and Made. 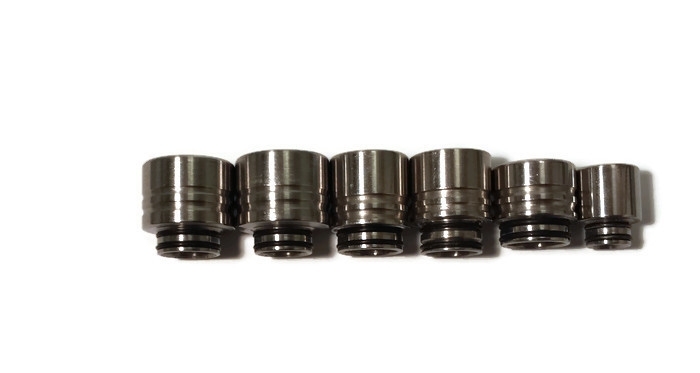 Designed to fit popular tanks and mods. Non-Toxic machining and cleaning process. · Large Bore 12mm (Aspire Atlantis V2, Mutation V2/3, Kennedy Clones, others). · Large Bore 13mm (Mutation V4, others). · + size obscenely wide 3/4" OD 12 / 13mm tips.